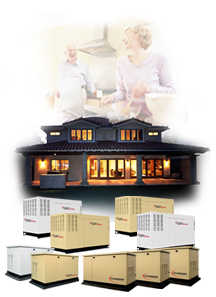 the #1 selling home standby generator? Because we offer the best value in the industry. Only GUARDIAN® has the features you need at a price you can afford. With our pre-wired, pre-packaged solutions, we extend your cost-savings even further by making our systems the absolute easiest to install. Our OHVI® Industrial grade engines are specifically designed for the harsh rigors of standby power. That, coupled with our industry-best motor starting capability and our improved enclosure design, illustrates why America prefers GUARDIAN®. but you'll never get more.